DANNY NICOLETTA, is an American photographer and activist, born on this date: In 1975, when he was nineteen, he was hired by Harvey Milk and Scott Smith to work at Castro Camera, their camera store on Castro Street. The three became friends and Nicoletta worked with Milk on his political campaigns for office. During this period of time, Nicoletta took many now well-known photographs of Milk. Once Milk was elected to the San Francisco Board of Supervisors, Milk became California’s first openly Gay elected official and served for almost eleven months before he and Mayor George Moscone were assassinated by Dan White in City Hall on November 27, 1978. After the death of Harvey Milk, Nicoletta worked to keep his memory alive. He was the installation coordinator of the Harvey Milk photographic tribute plaques installed at Harvey Milk Plaza and at the Castro Street Station, which featured his photographs as well as those of Marc Cohen, Don Eckert, Jerry Pritikin, Efren Ramirez, Rink, and Leland Toy. He was co-chair of the Harvey Milk City Hall Memorial Committee, and his photograph served as the basis for the bust of Milk that now resides in the rotunda of San Francisco’s City Hall. His portrait of Milk was also used on the United States Postal Service’s tribute stamp. Daniel Nicoletta’s photographs of Milk are featured prominently in the 1985 Academy Award-winning documentary The Times of Harvey Milk, directed by Rob Epstein. In the feature film Milk, a biographical film based on the life of Harvey Milk directed by Gus Van Sant, Daniel Nicoletta is played by Lucas Grabeel. Nicoletta himself plays Carl Carlson and served as the stills photographer on the film. Daniel Nicoletta was one of the founders of Frameline Film Festival. 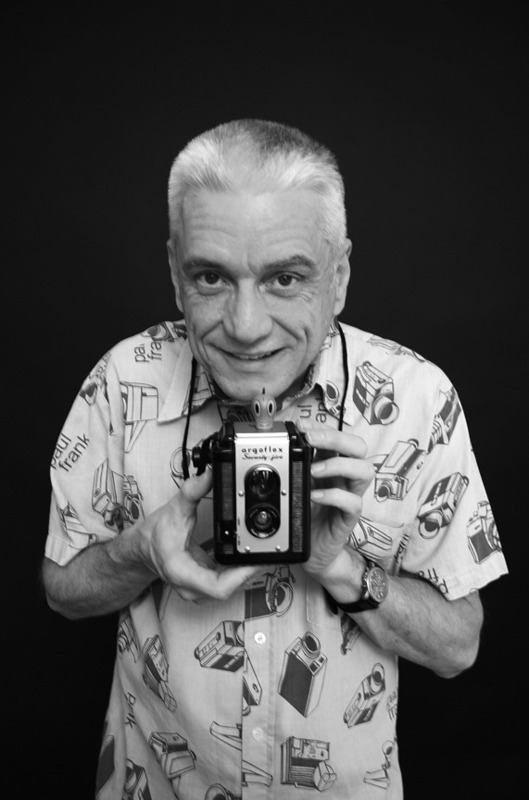 In 1977, while still working at Harvey Milk’s photography shop, Nicoletta, along with David Waggoner, Marc Huestis, and others, began film screenings of their Super 8 films, called the Gay Film Festival of Super 8 Films, which evolved into the yearly festival. As a photographer, Nicoletta has contributed to a number of films, as well as books and periodicals. His work is archived at the James C. Hormel Gay and Lesbian Center at the San Francisco Public Library, at the Wallach Collection of Fine Prints and the Berg Collection at the New York Public Library and at Schwules Museum in Berlin, Germany. His work has documented queer culture throughout the late 1970s into the 2000s and besides his historic photographs of Harvey Milk also include subjects such as the White Night Riots, the Castro Street Fair and the San Francisco Pride Parade, The Cockettes and the Angels of Light. Nicoletta’s first book, “LGBT San Francisco: The Daniel Nicoletta Photographs,” was released by Reel Art Press in the summer of 2017.